Literary Lindsey: It's Monday and we are having a party! Hello there, bookish people! Did you have a good week? I have a full house tonight (Sunday). It is my baby sister's sixteenth birthday, so that calls for four sisters, one boyfriend, and the literary family to make pizza, brownies, and a gigantic breakfast in the morning. Happy Birthday, sis! Oh...I almost forgot. You guys, as of Monday, July 16, I have been blogging for one year. Last July, I wrote a nervous little post, followed up by my first review. Things have changed a lot since then! I feel like I'm getting in the swing of things - that balance between writing on your own blog and visiting others, reading and writing, and paying attention to stats without obsessing over them. Thank you all for visiting my little corner of the internet - you are the best. Telegraph Avenue looks like good read, I'll have to look into it more :) I hope you enjoy it and your other reads this week! 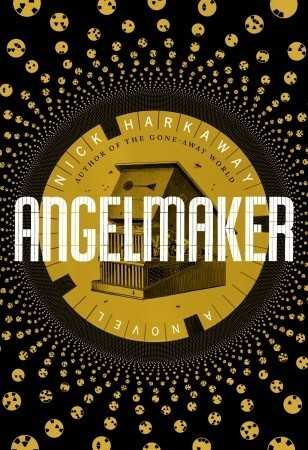 Check out what I'm reading this week! I'm having fun doing the read-along. It's nice to see other people's perspectives when you are all reading at the same time! My favorite read last week was Sweet Revenge (audio) by Diane Mott Davidson. Please come see what else I'm reading. Well, hello! I'm reading Telegraph Avenue with you. It's funny to stumble on one of the read-a-long group at another linky. I read The Great Gatsby early this year. I thought it was a weird one. The Irresistible Henry House looks great! I look forward to your review. Hey there! Small bloggish world, right? Woohoo - Happy Anniversary :-) And hope you had a fantastic weekend! I listened to The Great Gatsby a few years ago and really enjoyed it. I never thought of listening to it. What a great idea! Who narrated the version you listened to? Happy Anniversary!!! 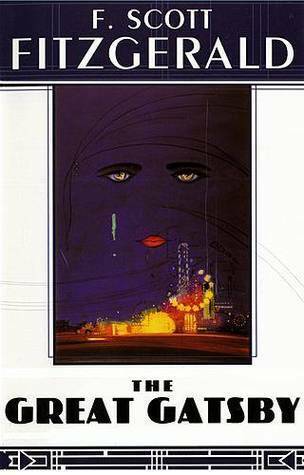 I know it's a classic but I never did understand the appeal of The Great Gatsby. Then again, I enjoyed it more than some other classics. Anyway, have a great reading week! And best wishes for your second year blogging! Something about Fitzgerald feels really comfortable to me. Have you read anything else of his? Happy anniversary, and happy 16th birthday to your sister. I loved The Great Gatsby, though I haven't read it since college. Second Nature intrigues me. I read The Deep End of the Ocean many years ago -- I think it was that author's first novel. It was definitely a page turner. Thank you! 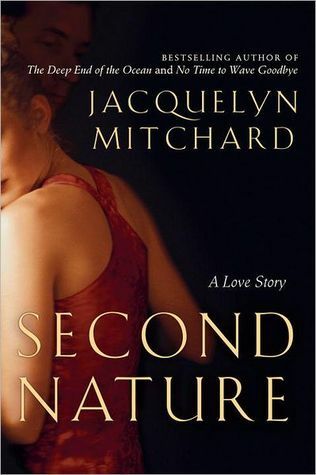 I really enjoyed Second Nature. The protagonist was really different from any I had encountered before. I will have to check out The Deep End of the Ocean. Soooo many books, so little time! I think this is my third time reading it. I'm not big on re-reading, but I love Fitzgerald. How was Henry House? 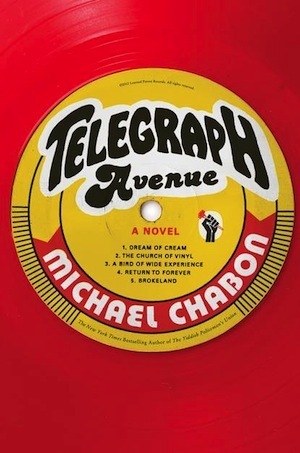 I'm also interested in hearing about the Chabon book. Happy One Year! It's a big accomplishment. I felt like I could breathe a sigh of relief and just write the way I wanted to write. I'm at two years and a few months now. Thank you very much!I liked Henry House, but I felt like the characters suffered at the expense of covering a lot of time in history. Time really does help you to feel comfortable in your own skin, doesn't it? Congrats on two plus years! Here's what I'm reading this week! I love Gatsby too. Each time I read it, I find something new to appreciate. I really want to read The Great Gatsby again before the movie comes out. Hopefully I'll be able to do that! I was excited to read it again anyway, but I think it will be good to have it fresh(er) in my mind when I go see the movie. We did have a wonderful time. I'm really glad I live close to my sisters.